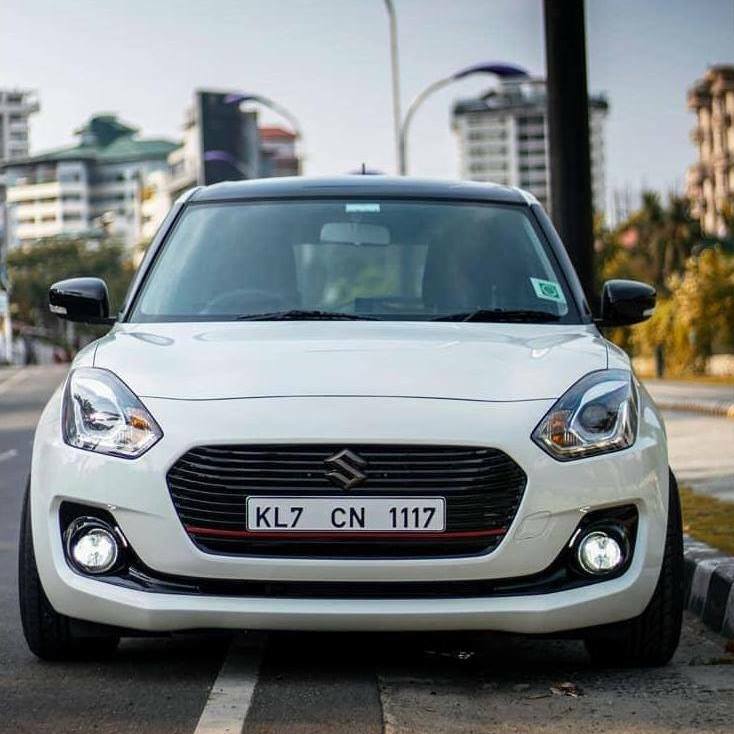 The new Maruti Suzuki Swift is in its way to become yet another best seller . The car has already clocked a cumulative booking and we have already started spotting many new Swifts on the road. Hence ,it will become essential for many new swift -owners to look apart . 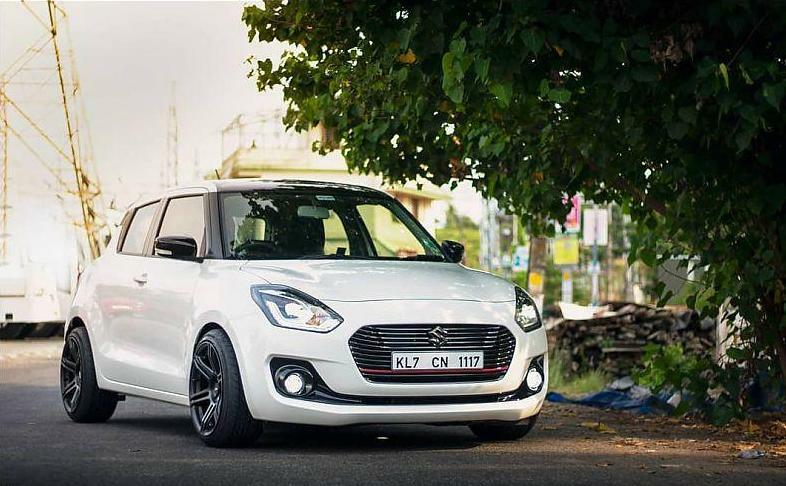 The sporty and sleek looks of the new Swift ,along with a huge variety of modification options available in the market makes it top pick for modification. 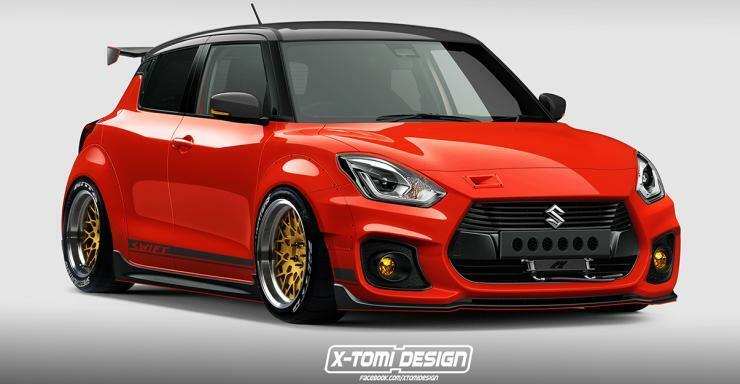 Maruti is now offering 2018 third-gen Swift with a holistic list of add-ons and pre-designed packages through its icreate visual modification options which includes six roof wraps, upgraded wheels, a body kit that includes a roof spoiler, door visor, side molding, and grille garnish, and some more accessories in the form of tail lamp garnish and bumper corner protector. 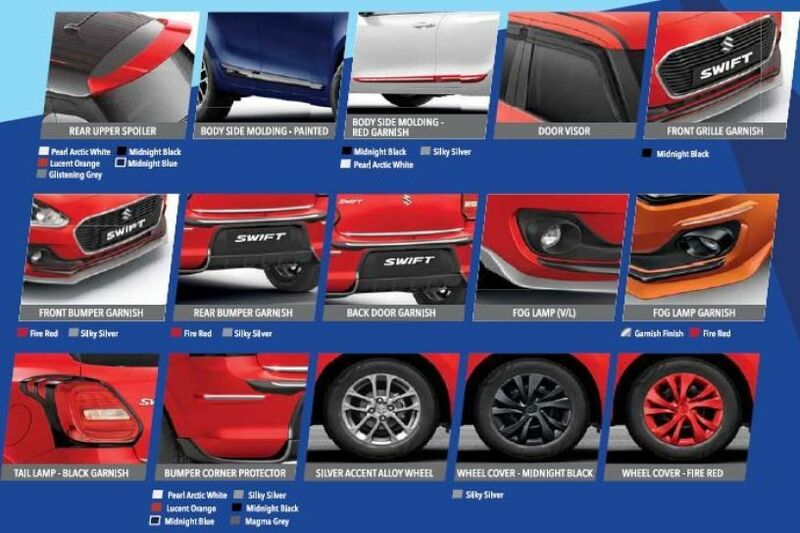 All these options will ensure your Swift doesn’t look like anything else on the road. Other than going for the iCreate options, you can also find a customization shop that can sell you a sporty body kit and decals to jazz up the external appearance of your car. Also install some wider, low-profile tyres and a widebody kit for the complete effect !! 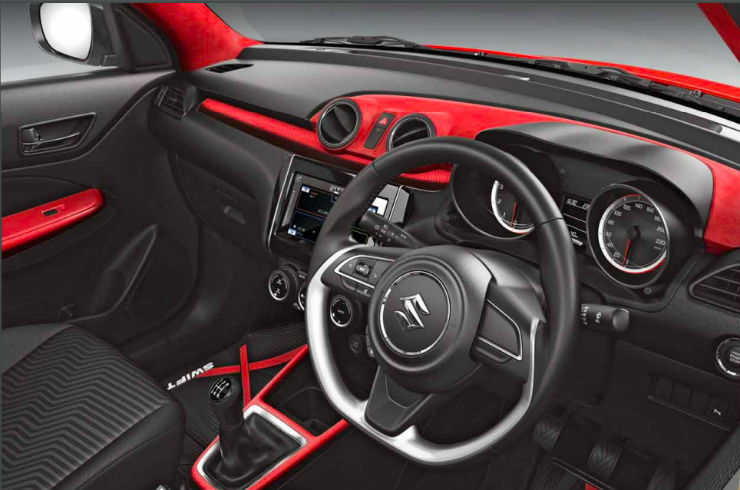 Maruti is offering interior accents that match the colour of the exterior. Designer mats and styling kits in multiple colours around the gear lever can also be availed . The styling kits on offer enhance the visual appeal of the interior by bringing in new trim and upholstery . 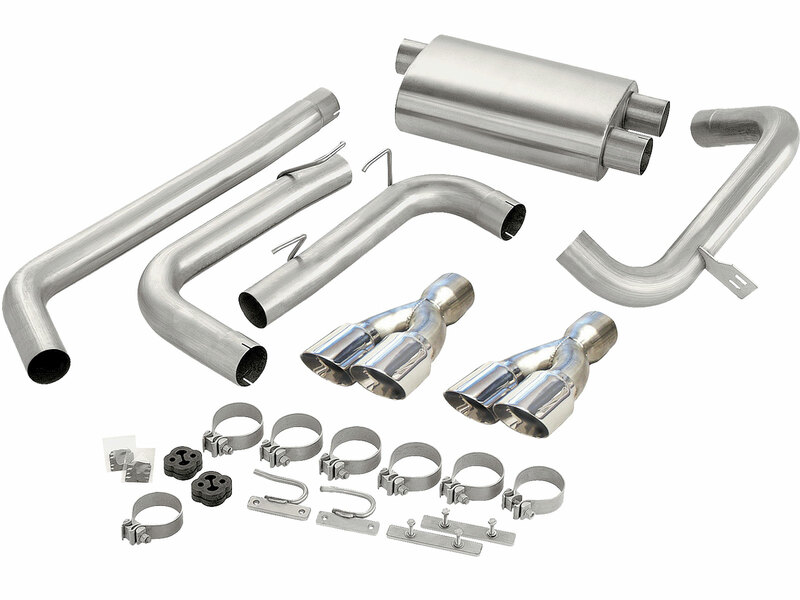 For more performance from your new Swift Diesel Install a Tuning Box which is probably the easiest way to extract more fun from your swift. A tuning box is easy to install and will not cost more than Rs 25,000. 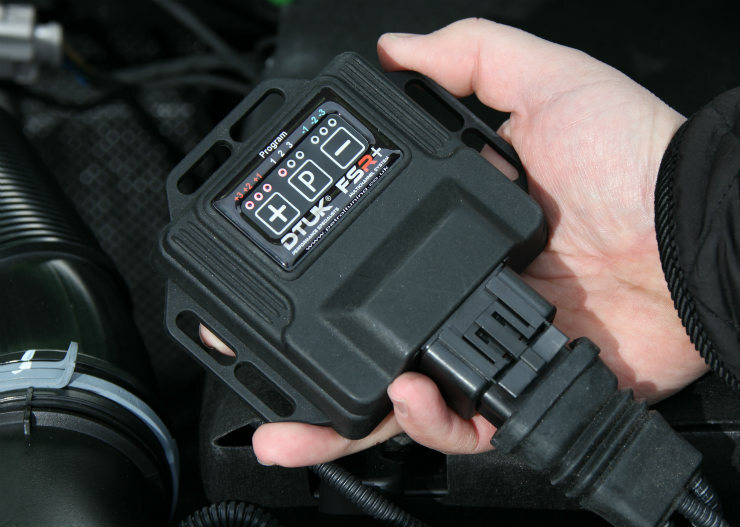 However, a ECU remap is required if you want to tune the petrol-powered Swift exactly to your spec . This is a more time-consuming and expensive process and can cost you upto Rs 50,000. Popular custom services providers like Pete’s and Race dynamics is likely to soon come up with remaps for the India-spec Swift. Installing a tuning box and running the engine on custom maps is an easy way to increase the performance. However, keep in mind that such modifications reduced the engine life to an extent as there’s an increased wear and tear.